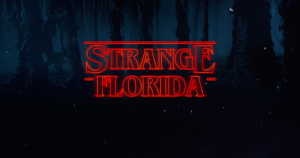 DURHAM, N.C. – On our Steam community page for Knee Deep, we post weekly round-ups of unusual news from the Sunshine State – the sorts of things that helped inspire our bizarre swamp noir. Now, once a month, we’ll go through those stories and pick out a few that really stand out and exemplify weird Florida. Police charged Joseph Carrao, 45, with felony animal cruelty after he grabbed a flamenco-dancing flamingo named Pinky at Busch Gardens and slammed the animal on the ground. The bird’s injuries were so severe that it had to be euthanized. A 30-year-old Miami man appeared before Circuit Judge Catherine M. Pooler, accused of carjacking a vehicle from Miami Edison Senior High School. Calvin Lloyd Griffith started twerking for the judge. That didn’t win him any favors. Here’s a link to the video. Florida detectives say Austin Harrouff, a 19-year-old Florida State University student, fatally stabbed a couple outside their home and then bit the dead man’s face. The incident occurred after, according to Harrouff’s mother, the young man had been acting strangely and claimed he had superpowers. According to news outlets, it took numerous deputies and a police dog to subdue Harrouff. Investigators found a missing Florida man with his head and chest poking down into a gopher tortoise hole on his 7-acre property. Joseph Prokop’s death didn’t appear to be foul play, according to a Volusia County sheriff’s spokesperson. Animal control officers had to help because an aggressive pet dog wouldn’t leave Prokop’s side. Prokop kept an assortment of animals on the property, including alligators, snakes, skinks, boa constrictors, and piranhas.